New York, NY—February 5, 2019—Free Comic Book Day 2019 is the perfect chance to swing into the Marvel Universe with all-new stories and exciting adventures alongside some of Marvel’s most acclaimed creators! Fresh off its 2018 GEM award win for Best Free Comic Book Day Book (FCBD 2018 Avengers Captain America), Marvel is excited to reveal the creative team for FCBD SPIDER-MAN/VENOM #1 – the story that might just become the most ordered and most sought out single issue in the entire history of FCBD! Everyone knows Miles Morales, who rose to fame in Marvel’s acclaimed animated sensation Into The Spider-Verse – and with a second feature film arriving this year, Peter Parker will once again suit up to save the world with his web-slinging super powers! In a special FCBD story, creators Tom Taylor, Saladin Ahmed, and Cory Smith take these superstar heroes of the Spider-Verse in a shocking new direction, with a story that will build to one of Marvel’s most fantastic and epic tales later this year! Nearly a year after the epic red-hot arc of the Red Goblin, Venom’s dynamic creative team is bringing you a story that’s been brewing since classic Spider-Man tales likeAmazing Spider-Man #252, The Spectacular Spider-Man #90, Marvel Team-Up #141 – a saga so big and so absolutely action-packed, it will deliver the most dramatic story in all of FCBD history! Fans will be well aware by the summer of 2019 that “everyone is a target”…and this May, Marvel invites you to experience the threat for yourself! Retailers should note that the FOC date has been extended, giving more time to place initial orders, for both of Marvel’s FCBD books – because trust us, you WON’T want to be without these important and stunning issues! 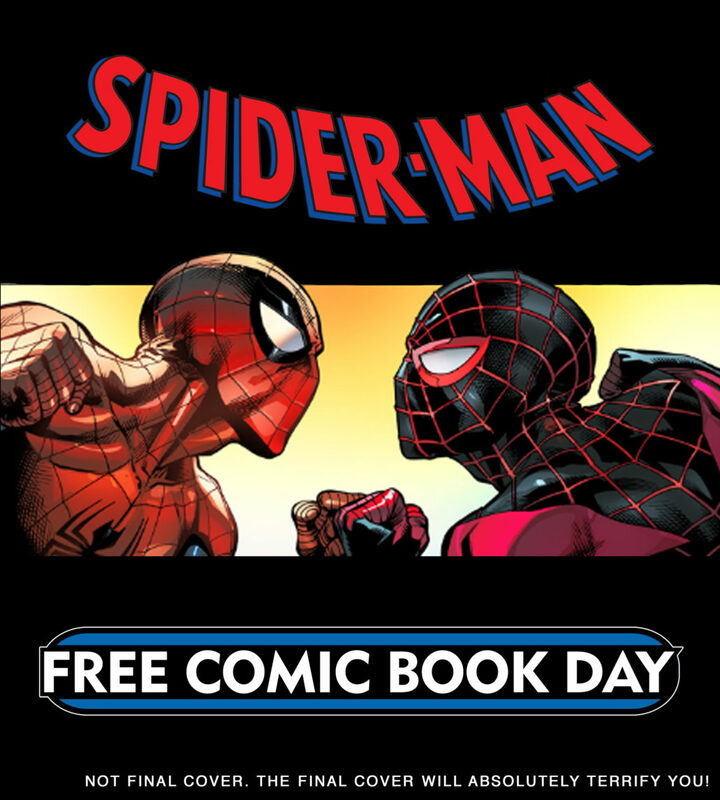 Stay tuned for more from Marvel for this year’s Free Comic Book Day announcements! Comic Book Chronicles Ep. 294: Keanu-verine Says "Whoa. Bub." Relive Marvel’s Legendary Tales with TRUE BELIEVERS: SPIDER-MAN Comics!